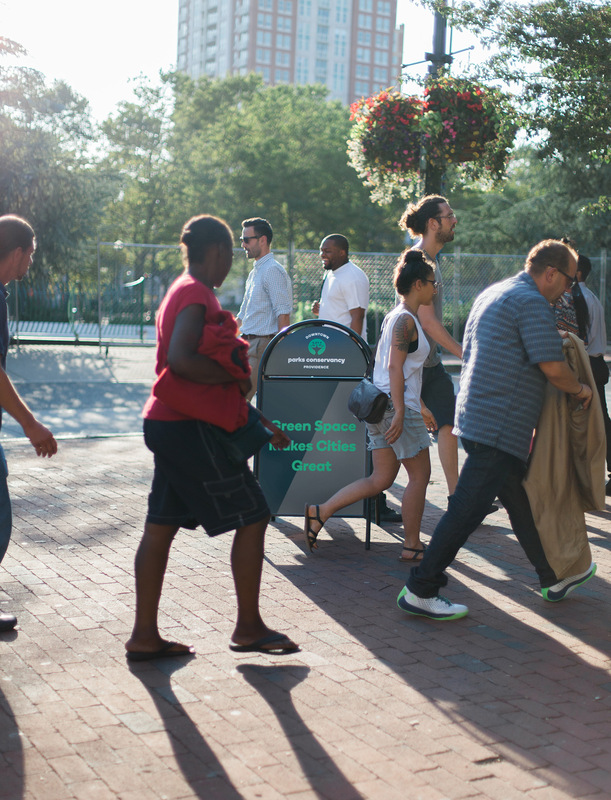 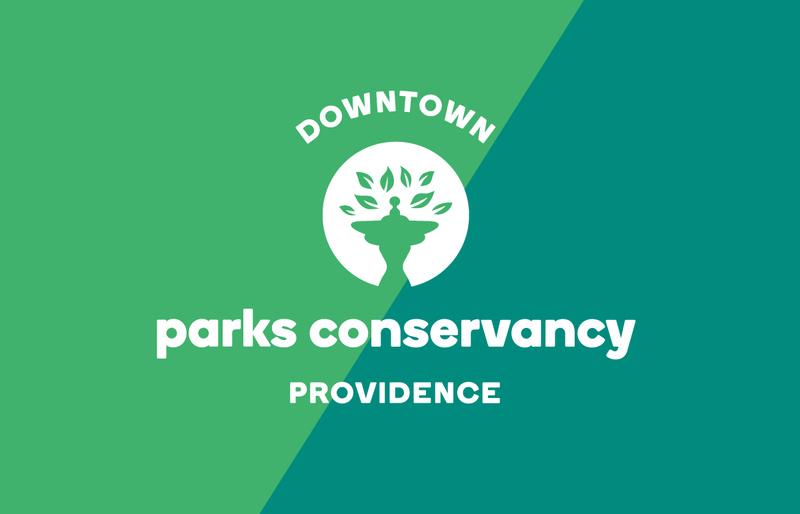 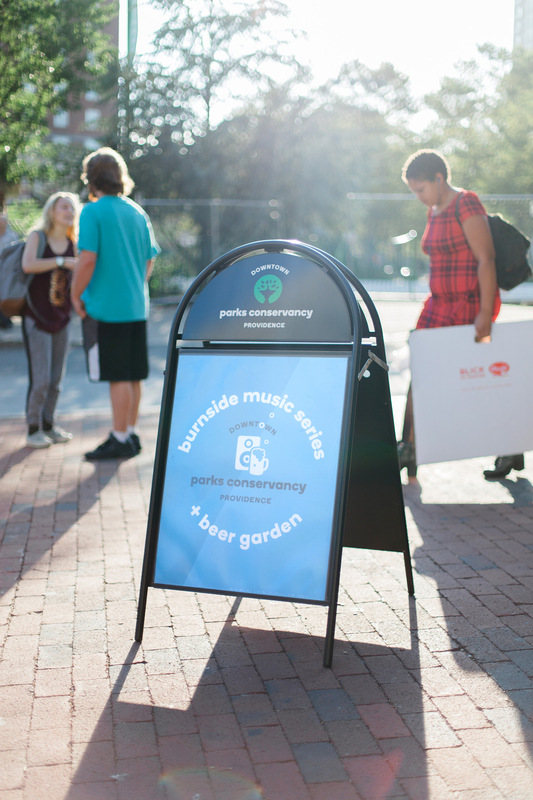 The Downtown Providence Parks Conservancy is an incredible organization that works maintain, improve and provide exciting programming for Downtown Providence’s very urban parks and public spaces. 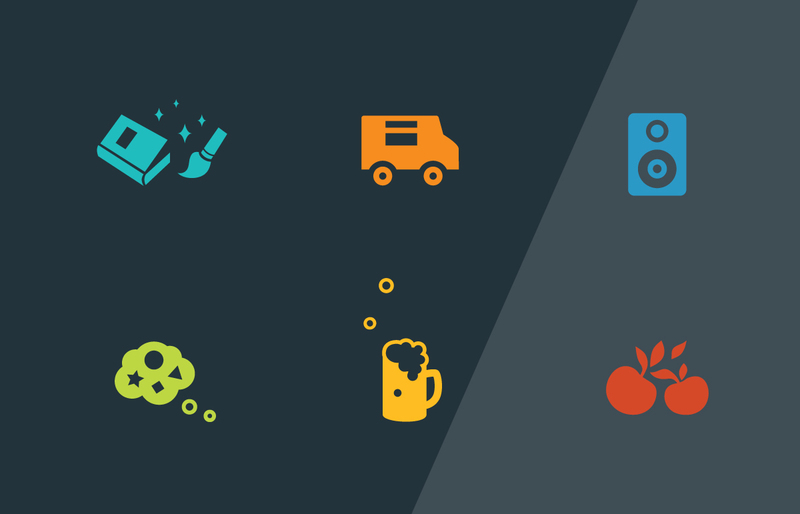 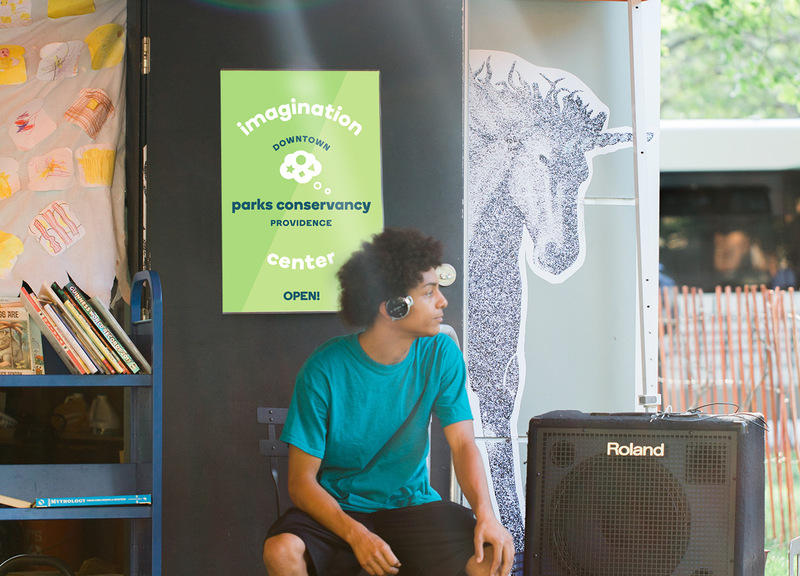 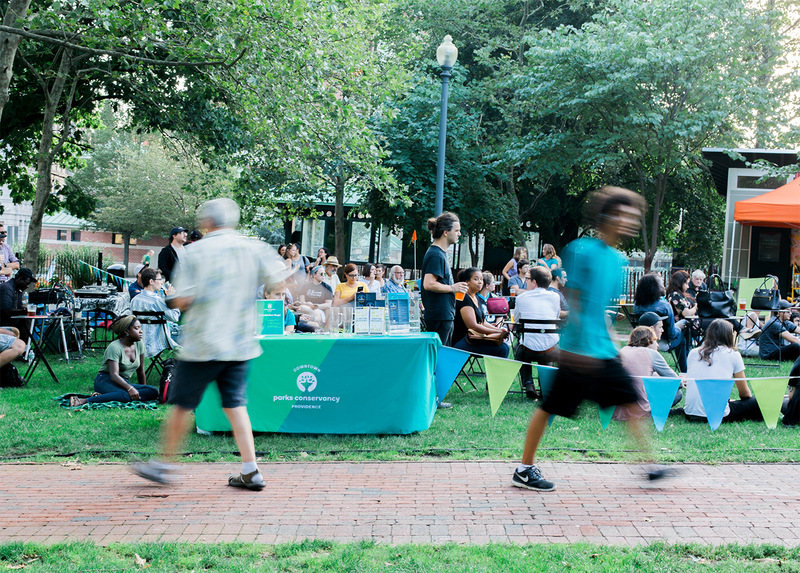 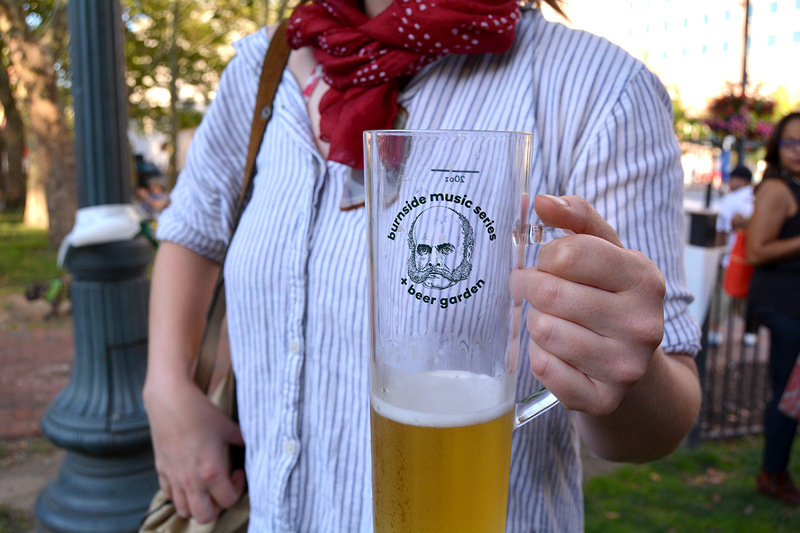 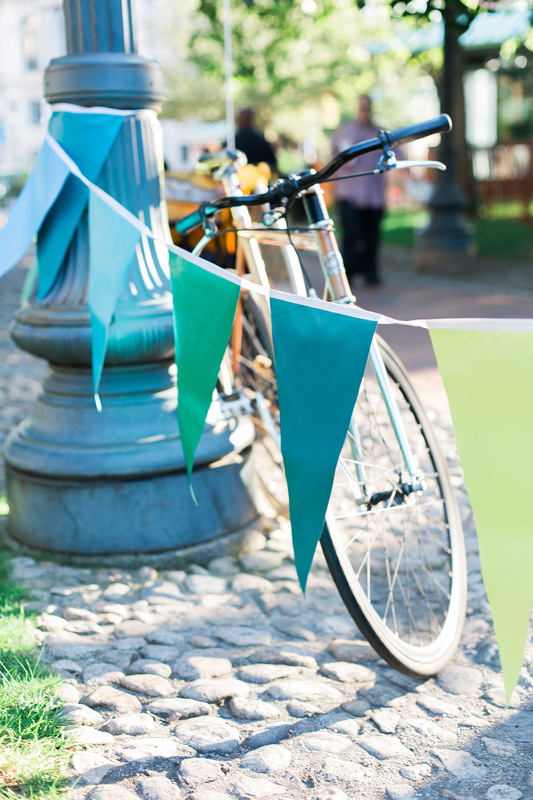 Despite numerous challenges—including the consistent need for funding and congestion from nearby transportation hubs—the conservancy brings vibrant programming to the city’s urban core including music, food trucks, farmer’s market, a summer beer garden, theater, dance and children’s activities. 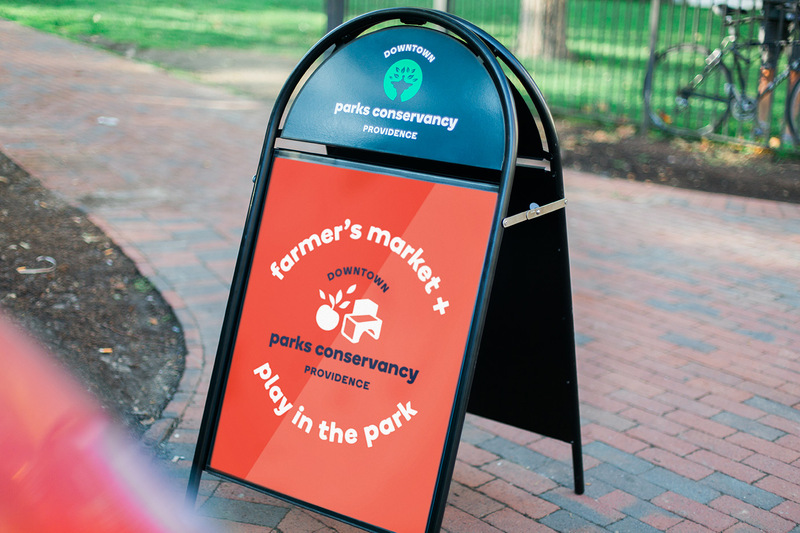 The DPPC was spearheading a number of initiatives in the neighborhood, but because they lacked a consistent brand identity, their work was not always recognized, adding to the difficulties of funding and participation. 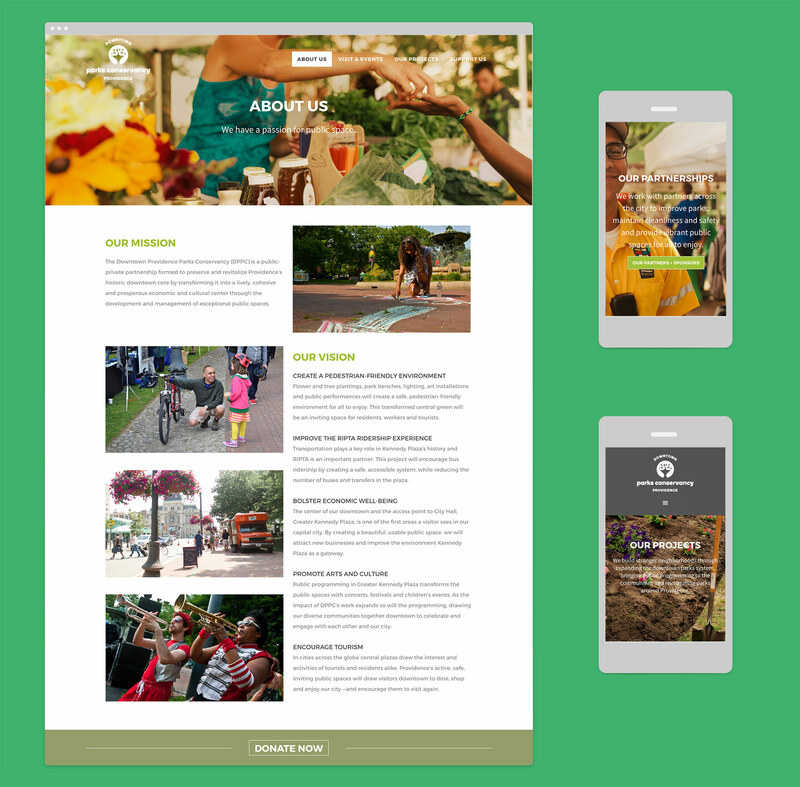 The DPPC worked with Studio Rainwater to rebrand the organization, helping to build recognition and showcasing the wide reaching and varied work they do to help green space and the city’s residents thrive. 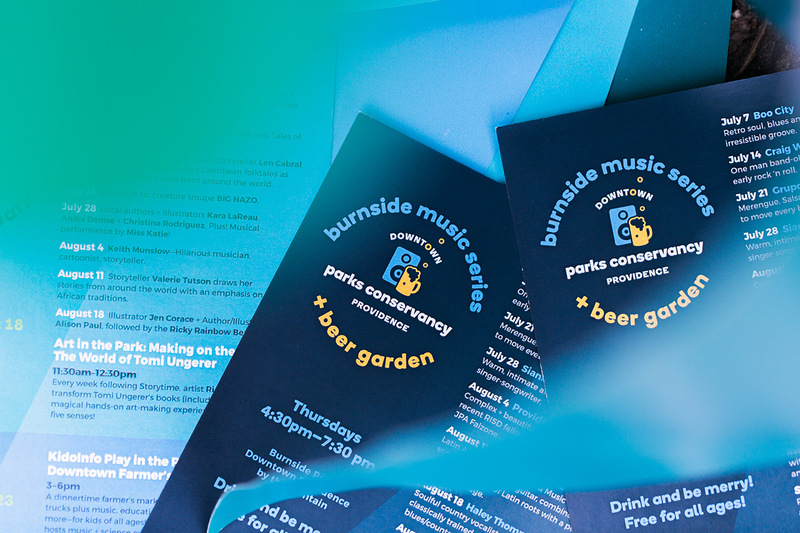 We designed an identity with nod to the area’s history that the conservancy actively helps to preserve, and with a youthful energy and color palette to promote the many events organized by the DPPC. 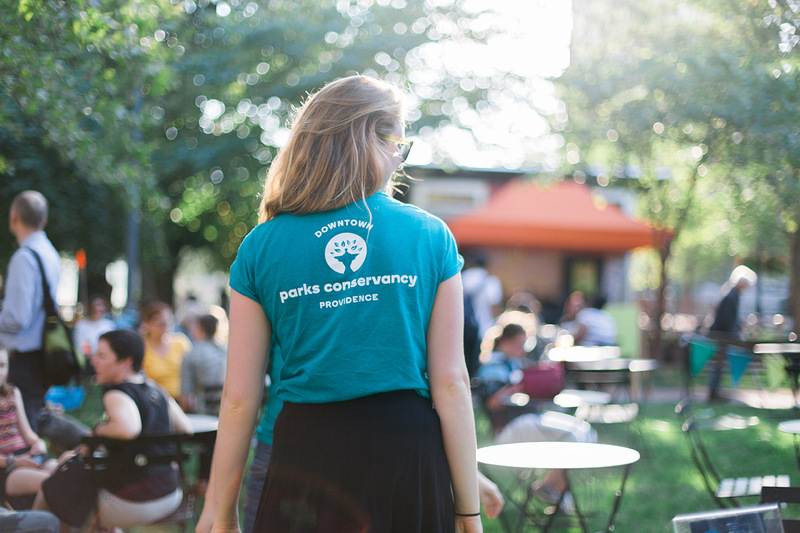 The identity required enough flexibility to represent the variety of activities that the organization undertakes and a wide range of audiences—from children, teens, and adults, to press, policy makers, donors, and corporate partners. 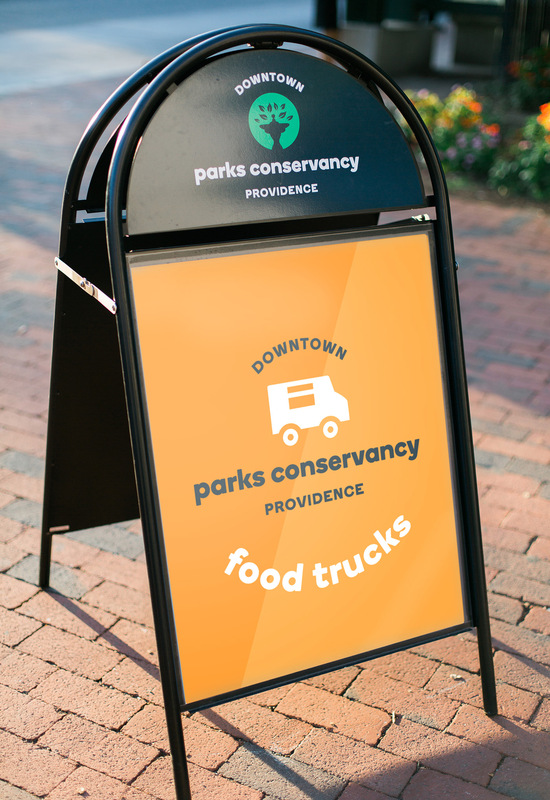 The brand also needed to be recognizable on many platforms, from web and social media to promotions, to in-person events. 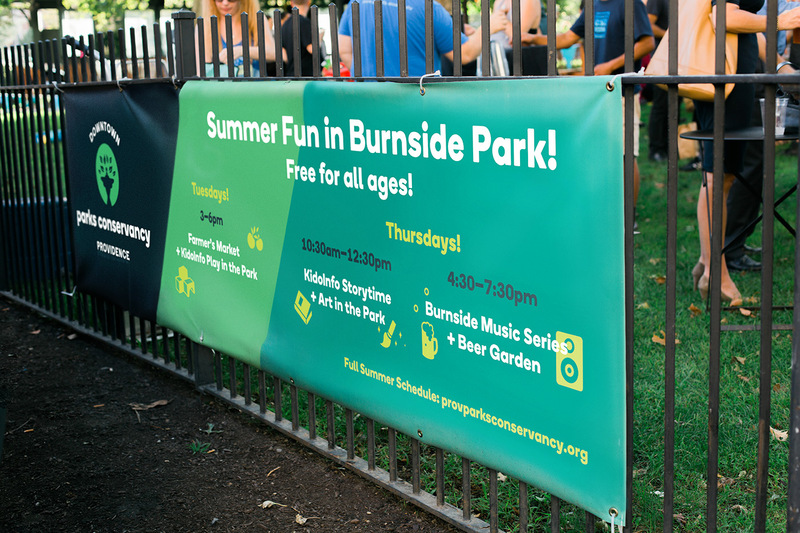 With a cohesive identity, the organization was able to pursue funding and partnerships allowing them to make dramatic improvements to the parks, including funding for a destination playground, additions to existing structures and raising over $100,000 toward restoring a historic monument.